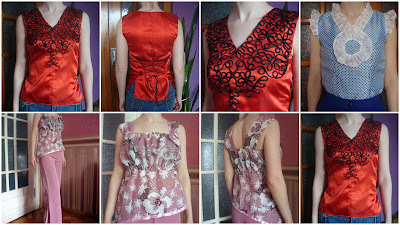 These are the blouses I’ve created this spring. The first one is made of blood red satin, decorated by hand with black cord using my own design. These two were made in exquisite desire to speed up summer coming.